Tips to boost your yield. Coffee farming is actually big in the countryside, with vast acres of properties solely dedicated to coffee farming alone. Last month, Entrepreneur.com.ph visited the Nestle Experimental and Demo Farm in Tagum City, Davao del Norte. Coffee growing in the country experiences a setback in the late 90's due to its fluctuating value in the world market. However, due to the lack of supply and the increasing demand, coffee has returned to its more stable price. Also, Nestle buying stations is buying coffee based on the price of the commodity in the world market. While we have already discussed the basics of coffee farming, we learned some tips that can actually help you boost the yield of your coffee plants. We gathered five tips from the experts of Nestle that you should keep in mind when you are still about to start your coffee farm. 1. Do not mix your coffee with other crops. Mixed cropping or intercropping is always detrimental to the optimum yields of each of the individual crops. 2. Use strip cropping or block cropping. In one part of you farm, plant only coffee, while you can still plant other crops in other parts. 3. Make sure that your coffee is not over shaded. Coffee in reality is a sun-loving plant. 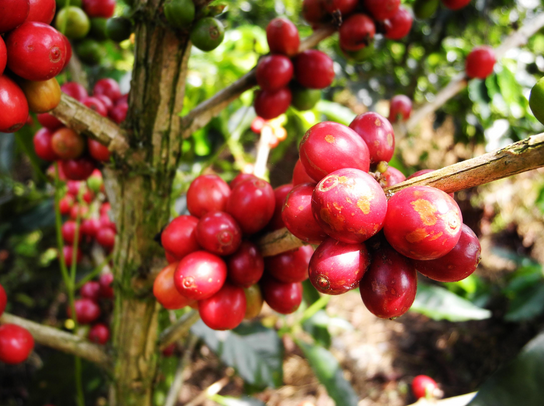 Coffee grown in shaded areas tends to have long internodes, fewer berries, and give lower yields. 4. Make sure that the ground is well prepared to maximize competition against weeds. The area for planting should be weed free. 5. Do not rush planting. There is no advantage in planting less than six-month old seedlings. There will be hardly any growth during the first dry season. Flowering will start after nine months from the transplanting. 6. Take care of the seedlings. Seedlings kept in the nursery for longer period have good growth even during dry months and are easier to establish. Best of all, flowering comes one year earlier.